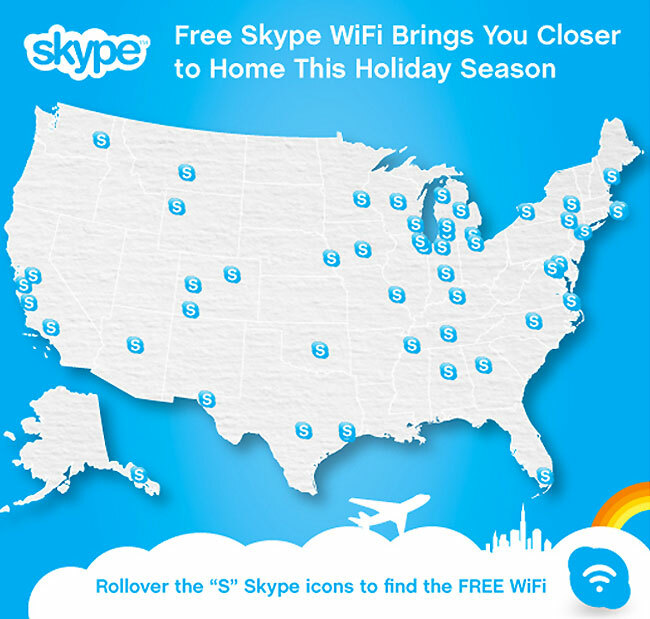 Anyone travelling across the U.S this holiday might welcome the free WiFi Skype will be offering from December 21st to December 27th at participating airports across the United States. Travellers passing through or delayed in over 50 airports across the country will be able to access third-party hotspots using Skype WiFi and connect with family and friends via a Skype video or voice call for free. The Skype service will be available to PCs, Macs and iOS devices, including iPod Touch, iPhone and iPad. For more information jump over to the Skype website for an interactive map and details of the airports involved in the promotion.